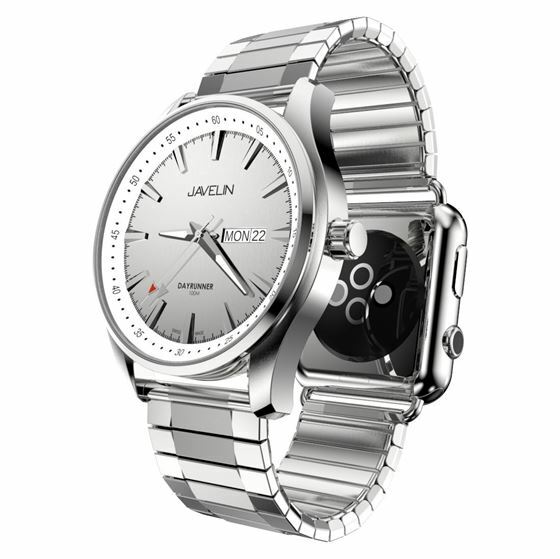 The Javelin Dayrunner is a stylish premium Swiss watch that gives you the best of fashion and technology. This watch comes with a silver face and stainless steel case, and supports 42mm Apple Watch smart devices. This Javelin Dayrunner has windows for the day of the week and the month. A genuine leather watch band is also included with the Javelin Dayrunner DUO for going classic. The Javelin Dayrunner is a stylish premium Swiss watch that gives you the best of fashion and technology. This watch comes with a silver face and stainless steel case, and supports 38mm Apple Watch smart devices. This Javelin Dayrunner has windows for the day of the week and the month. A genuine leather watch band is also included with the Javelin Dayrunner DUO for going classic. 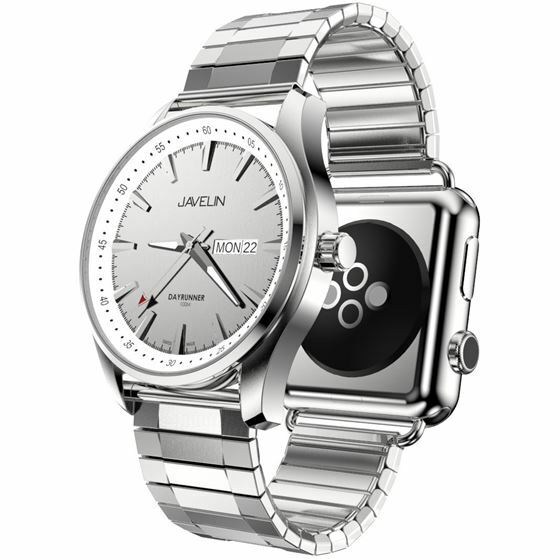 Javelin Watches came to life in 2014, embodying the union between fashion and technology. Emerging from Swiss heritage, Javelin Watches draw inspiration from automotive racing, the explorer's spirit, and classic styles. Combining the functionality and simplicity of smart devices and inspired by the rich heritage of fine Swiss watch making, Javelin Watches are the timeless-Swiss design for today's smart consumer. Subscribe to our newsletter and get information about our latest offerings. Copyright © 2019 Javelin Watches. All rights reserved.